The Point Lookout Civic Association 2016 Civic Beach & Park Clean Up is being held this upcoming Memorial Day Weekend. Please gather all your family, friends and neighbors to help clean up Point Lookout’s valued recreational treasures. Clean up will start at the Park and Cove, then head to Civic Beach via the Jones Beach Inlet. Wear sneakers or boots, lather up the sunscreen, spray on some bug spray, bring a pair of work gloves and lots of energy. Community Service Hours will be awarded to those who need them(speak with Tim Gola, Heinz Posch or Matt Brennan). Light refreshments will be served. 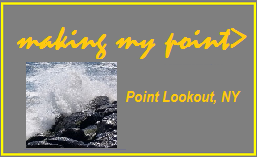 This entry was posted in environmental, get involved!, people, places and tagged beach clean up, Point Lookout Civic Association. Bookmark the permalink.